TNE develops and delivers a range of marketing campaigns on behalf of its local government and industry partners, which look to drive destination awareness and tourism related visitation and yield opportunities for the region. These campaigns are innovative and integrated, utilising a range of channels to effectively engage with target markets.  High Country visitors are characterised by two key segments - Lifestyle Leaders, who account for 40% of the region’s visitors, and Habituals who make up 28% of visitor numbers. Lifestyle Leaders are progressive, educated and professional individuals who actively seek out new experiences. They enjoy an active social life and have extensive social networks in which they are viewed as trusted advisors and influencers of others. They are higher in affluence and discretionary expenditure than the average Australian, so travel frequently and spend more when traveling. The Habituals are travellers who come to the North East each year (sometimes many times a year) that tend to return to a consistent location and often travel with the same group. They are heavily influenced by the recommendations of friends and family members, prioritise value for money, and are often driven by familiarity with a destination. Both Habituals and Lifestyle Leaders are primarily self-drive markets. The High Country primarily focuses on Lifestyle Leaders as their propensity to travel, experience new things and consider multiple destinations when they travel means that there is a strong ability to influence them with focused and motivating marketing communication and effective product development. Furthermore, the size of the segment and the yield it can drive within region by way of its higher natural spend also defines it as the most valuable market with the potential to drive greatest return on investment for the High Country. While Habituals are not a marketing focus for the region, as they have largely already predetermined where they will visit so there is little opportunity to influence their travel decisions, the ongoing development and revitalisation of regional products, infrastructure and tourism services will ensure this segment’s ongoing satisfaction and commitment to the High Country. Bikes are a true strength of the region, particularly associated with the disciplines of mountain biking, rail trails and road cycling, which are available throughout the High Country. A robust bike infrastructure network, supported by high-quality bike experiences that are integrated with other key product pillars, ensure that this offering delivers strong tourism benefits to the High Country. The food, wine and beer product is mature and diverse, encompassing winery cellar doors, world-class restaurants, seasonal farm gate experiences, rich local produce, cooking schools, craft breweries and more. This product range has played a vital role in placing the High Country in the minds of visitors as a destination of choice for many years, and is important in that it acts as an anchor strength across all of the other product pillars. This product pillar encompasses the vast array of unique snow-based activities available in the alpine resorts, which includes traditional sports like skiing and snowboarding as well as other snow experiences like skidoo rides, snow shoeing, dog sledding and snow tubing. The stunning alpine landscape also forms the perfect backdrop to enjoy food and wine experiences, luxury spa indulgences, a range of Village experiences and more. The High Country’s unique alpine environments and rich fertile valleys make it a popular nature based tourism destination. Visitors can participate in fishing, boating and watersport activities on rivers and inland waterways, enjoy hiking, biking and trail running across the peaks and throughout the valleys, and also take advantage of other adrenalin focused experiences such as micro-lighting, abseiling, caving and gliding. Visitors associate the High Country with culturally enriching experiences that draw from the history and culture of the area. Aboriginal heritage, the rich gold mining history, the legend of Ned Kelly and the story of the Man from Snowy River are all iconic cultural heritage aspects of the region. The High Country also features unique artworks that capitalise on and draw inspiration from the surrounding landscapes, and a variety of museums and historic sites that celebrate these experiences.